Britain may not have fully freed itself from all European Union rules until 2021, Brexit Secretary David Davis has said. Mr Davis said he was "very determined' to agree a divorce deal with Brussels and a new trading relationship within the two-year negotiating process set out by Article 50 of the EU treaties. One of the first stages of the negotiation, which Theresa May has promised to begin by April, will be to sign the EU up to the UK's proposed timetable, he said. But on Tuesday, the Prime Minister acknowledged in a major speech there may have to be an "implementation period" to allow for adjustment to new post-Brexit rules after they are agreed, which Mr Davis said could take a further two years. He insisted Britain is not "supplicant" to any EU insistence that the timetable should be longer and would be seeking to conclude a deal in two years before the implementation phase begins. On BBC Radio 4's Today programme, he went on: "At the end of two years, we will have our deals, what may take a little longer is implementation. "I don't know, whether it's customs arrangements or it's a time for companies to accommodate things, or whether it's border arrangements, or some other elements. "And we've said we accept that there may be an implementation phase thereafter. "It won't be a long time...a year or two." 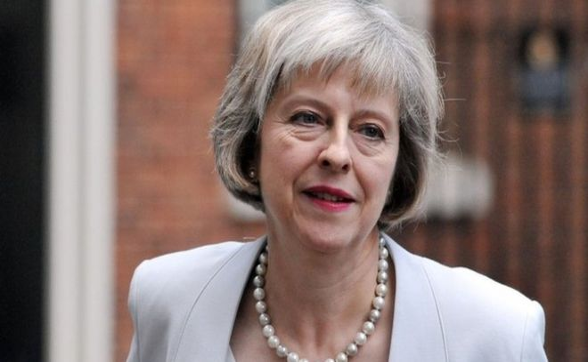 Mrs May confirmed she wants to take Britain out of the jurisdiction of the European Court of Justice and restore control over immigration. She gave her strongest hint yet that the UK could leave the European customs union (CU), stating she wanted to ensure "frictionless" cross-border trade. But she said she had an "open mind" on whether that should be done through associate membership or a completely new customs agreement. Declaring "no deal for Britain is better than a bad deal for Britain", Mrs May repeated Chancellor Philip Hammond's warning that if Europe is refused easy access to the single market, the UK could "change the basis of (its) economic model". That could mean Britain effectively becoming a low-tax, low-regulation haven like Singapore off the shore of Europe, competing for business and investment with its former partners. European Council president Donald Tusk said the remaining 27 members were "united and ready to negotiate" while the European parliament's chief negotiator, Guy Verhofstadt, said the "days of UK cherry-picking and Europe a la carte are over". Labour leader Jeremy Corbyn warned she would turn the UK into a "low corporate taxation, bargain basement economy" if the EU did not give her everything she wanted. Liberal Democrat leader Tim Farron said: "Theresa May has confirmed Britain is heading for a hard Brexit. "She claimed people voted to leave the single market. They didn't. She has made the choice to do massive damage to the British economy." MPs and peers will get a final vote on whatever deal the UK reaches with the EU, but they will not be able to stop Brexit happening, Mr Davis said. Setting out her negotiating strategy, the Prime Minister promised Parliament would get a final say on the deal, but it is unclear what would happen if they reject it. There have been suggestions that a rejection could mean the UK reverting to World Trade Organisation (WTO) rules and crashing out of the EU with no deal. Alternatively, the Government could attempt to change the terms of the deal to better reflect Parliament's view if there is time before leaving the EU, some observers have suggested. But Mr Davis insisted MPs and peers would not vote it down. "I intend to make this a success," he said. "Parliament, remember, gave the decision on leaving to the people, by a vast majority it decided it was the people who made the decision in the referendum, so it's not for Parliament to reverse that. "So at the end of the day they will end up deciding on the mandate." Asked if Britain would revert to WTO rules if Parliament rejects the deal, Mr Davis said: "They won't vote it down, this negotiation will succeed." Mr Davis also insisted there would be no difference in Britons' right to travel in Europe or vice versa but admitted that new customs checks could come into force for lorries carrying goods into or out of the UK. "You won't see any difference, let's say, in right to travel," he said. "We've got 35 million people coming over from Europe every year, that's not suddenly going to change, the immigration policy is not going to stop that." Asked if there would be new customs checks on lorries, he said: "We'll see, that's one of the things we want to negotiate. "We think it's possible to have a pretty frictionless arrangement." Mr Davis dismissed warnings from the European Parliament's lead negotiator, Guy Verhofstadt, that Britain will not be able to enjoy better terms after Brexit than it has within the EU, and that it cannot "cherry-pick" what aspects of membership it wants to keep. It comes after Mrs May said Britain would pull out of the EU single market but sign a new "bold and ambitious" free trade agreement to get the best possible access to Europe for businesses. She also suggested that Britain would leave the customs union in order to strike free trade deals with other countries around the world but seek to agree new arrangements while maintaining as much tariff-free trade with the EU as possible. Mr Davis said: "A more important person than Mr Verhofstadt is Donald Tusk, the head of the council, and he said this is realistic. "That was the world that he used - 'realistic'. "It's quite interesting, it was entirely possible, when you open a negotiation you get a sort of reaction back to push you back a bit. "We didn't get that, we got a serious and reflective look at it from Brussels and I think we're going to see a really good engagement. "Guy is one player of several." He also dismissed suggestions that Britain did not have enough numbers or experience in its Civil Service to deal with Brexit, revealing that former cabinet secretary Lord Butler told him: "Our Civil Service can cope with World War Two, they can easily cope with this." Foreign Secretary Boris Johnson said Britain could start "pencilling" in new trade deals on the "back of an envelope" despite still being an EU member. Speaking during a visit to India, Mr Johnson told business leaders he wanted the UK to cut a fresh agreement with the country. "We need to turbo charge this relationship with a new free trade deal, such as we will shortly be able to do. We can't negotiate it now, but we can sketch it out in pencil on the back of an envelope," he said.